It is a special kind of person who signs up for the Rotto Swim. One that has to be prepared for hours of blazing sun, salt water up the nose, hypothermia, potential shark sightings, and of course there’s the short 19.7km kilometres of open water you’ll need to navigate until you can reach dry land. The Rottnest Channel Swim, or ‘Rotto Swim’ as it is affectionately known, is a Western Australian tradition. 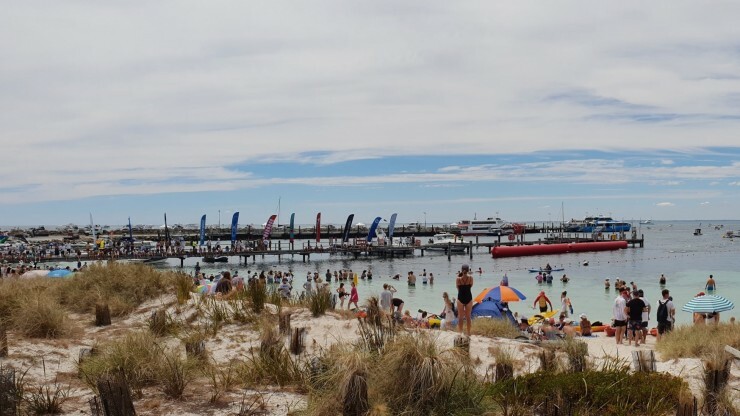 Swimmers depart from the iconic Cottesloe Beach in the wee hours, tackling the nearly 20-kilometre swim to Rottnest Island solo, in a duo, or in a team, alongside a myriad of support boats, paddlers and their families, all ready to cheer them on. For the elite swimmers, it can take around 4-5 hours to complete as a solo, duo or team. For swimmers of the non-elite status, crossings may take up to 10 or 11 hours. It is a big commitment, and not just on the day. Training and planning begin months in advance. Just ask the ConocoPhillips Coast Busters. “The logistics part is harder than the training. You can physically under-train and still make it to Rotto if you are mentally prepared and your logistics are sorted. However, if you under plan your logistics you definitely will not make the crossing - the logistics have to be spot on,” says team member Daniel. 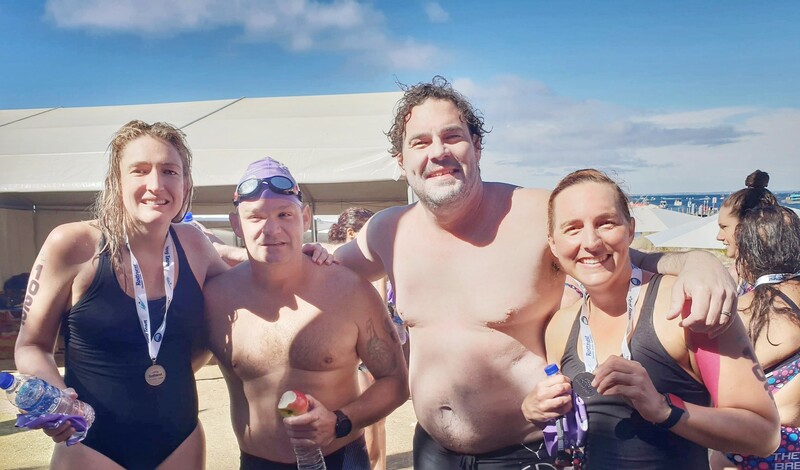 The Coast Busters is the moniker for a team of Australia Business Unit West employees: Hannah Marsh, Tanya Abbott, Marcus Humphreys and Daniel Trotter, who recently tackled the swim - two of them for the first time. For first timer Tanya, the challenge wasn’t only the training, but overcoming her fear of the ocean. “I hadn’t swum in years before Hannah asked me to join the team so it was a pretty steep training curve for me. I hopped in the pool for the first time the last week of October and only just made 50m without stopping, so puffed and wondering how on earth I was going to get to where I needed to be,” Tanya said. From then she progressed to swimming in the pool twice a week, building up the length of each swim. Then it was time to train in the ocean. The team had their fair share of challenges in the lead up to the swim, with Hannah making an unexpected announcement early on. “I was nearly 9 weeks pregnant on the day – so I was “sea sick and a bit puffed” before I’d even hopped on the boat,” said Hannah. 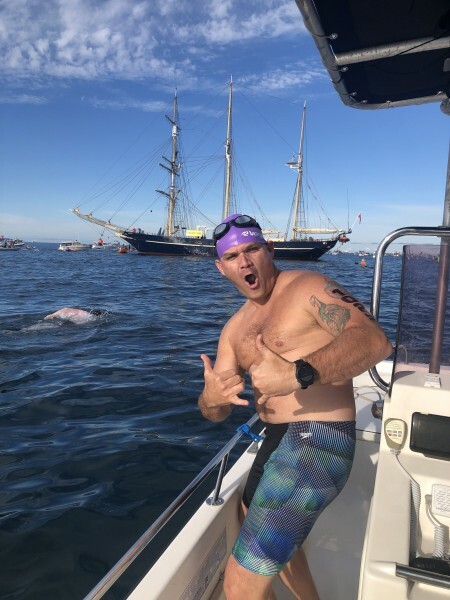 Marcus, a previous solo Rotto Swim participant and one of the team’s stronger swimmers, also suffered a setback from a non-work related shoulder injury a couple of weeks before the event. Despite this the team kept their high spirits and pushed ahead, managing to complete the swim in 7 hours and 55 minutes. This feat couldn’t be a more perfect example of the ‘T’ in the ConocoPhillips SPIRIT values: Teamwork. Not only was this trait displayed through the camaraderie and ‘can do’ spirit of the swimmers, but through the dedication and support of the wider ConocoPhillips family who pitched in to help out. “Shout outs to our skipper & paddlers – Mike Harper, Kevin and Matt Housham (all family members of ConocoPhillips HR colleagues). 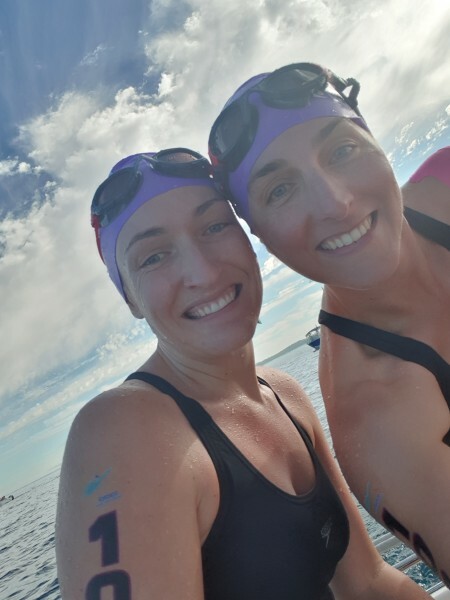 Shout outs also to Sam, Janet (ConocoPhillips HR) and the swimmers’ partners and families who made the trip across the Rotto to greet and celebrate with us at the finish line,” said Hannah. Looks like the Coast Busters and crew will be back. Your ConocoPhillips colleagues look forward to cheering you across that finish line in 2020!